Editor’s note: Jeremy Liew is a managing director at Lightspeed Venture Partners. Follow him on Twitter @jeremysliew. Wallet. Holding your Bitcoins for you, serving some of the checking account functions of a bank. Exchange. Converting from USD to Bitcoins and back. Payments. Helping merchants accept Bitcoins for their transactions. As a rule of thumb, VCs like to see billion-dollar markets to get excited. How can each of these markets get to be a billion dollars in size? It is free to get your own Bitcoin wallet, a piece of software on your computer that you can use to send or receive Bitcoins. However, this entails storing your Bitcoin private key on your computer, which risks loss or theft. Increasingly many Bitcoin users are turning to hosted wallets, which hold the money for you, and are accessed over the web. But you have to trust that your hosted wallet will not run off with your money (which has happened before). Because client wallets are free, hosted wallets have typically been free, as well. Let’s assume that one day in the future, hosted wallets will be able to charge 0.5 percent of funds in the account as an annual fee. This is likely a high estimate, but not impossible if the wallet offers enhanced security, insurance against loss, and perhaps some kind of escrow or other fraud purchase protection. For the wallet market to be worth $1 billion, this would imply that $1 billion/0.5% = $200 billion in Bitcoins would need to be held in hosted wallets. This means that the market cap of Bitcoin would need to be at least $200 billion, relative to $1.5 billion today. Bitcoin would need to appreciate by almost 150x to reach this level. Bitcoin has gone up by 30x in the last year, so that isn’t impossible to believe. Two more years like that would get you there. 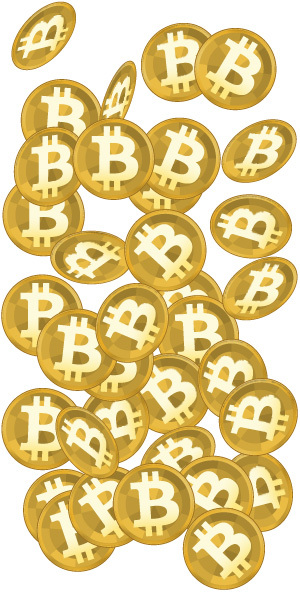 It will be a long time, and probably never, that Bitcoin becomes the default world currency. 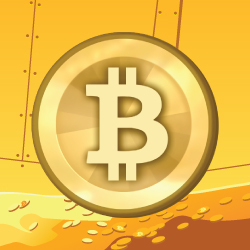 As a result, there will be demand for exchanging between Bitcoin and fiat currency for a very long time. Consumer level exchanges charge between 50 to 100 basis points on each trade. Bigger trades currently pay closer to 10 basis points. Let’s assume that in the future trading commissions run around 25 basis points. To get to $1 billion in market size we would need to see $1 billion/0.25% = $400 billion in annual trading volume. Last month, exchange volume was around $60 million, this month it looks like it may get to $200 million. Annualizing this gets you to between $720 million – $2.4 billion in annual trading volume. Assuming the top end of the estimates, trading volume would need to go up by 200x current levels to hit this market size. Transaction volume, i.e. transfers of Bitcoin within the real economy, has historically floated within a constant multiple of trading volume of between 2 and 20. If the relationship between transaction volume and trading volume remains roughly linear, transaction volume would need to rise by 200x current levels to hit our target $1 billion market size. This is believable given that transaction volume has gone up 30x in the last year. Ultimately, the key driver of both Bitcoin price appreciation and exchange volume has to be payments volume. If people aren’t using Bitcoin to pay merchants for transactions, then there is no real economic driver for either price or exchange volume to rise. It would be driven purely by speculation. 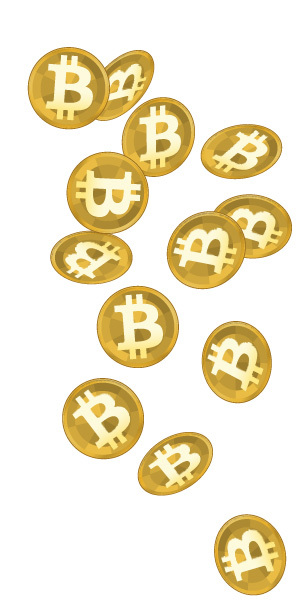 One of the key advantages of Bitcoin is that it nominally has zero transaction costs. That being said, there are a number of additional merchant services that could be added on top of transaction processing that could justify 25 basis points or more in merchant fees. Bitpay today charges 1% or more. To get to $1 billion in market size, we would need to see $1 billion/0.25% = $400 billion in annual transaction volume. Last month, transaction volume was around $250 million, and this month it looks like it is on track for $750 million. Annualizing this gets you to between $3 billion and $9 billion in annual transaction volume. Again, taking the top end of estimates, this would require an increase in transaction volume of around 50x current levels. In the last year, transaction volumes have gone up by 30x. As a comparison point, world GDP is around $82 trillion, so this would represent about 0.5 percent of all world transactions using Bitcoin. As a comparison point, $2.5 trillion is spent on credit cards per year in the U.S. alone out of $15 trillion in GDP, so about 16 percent. All of these market-sizing analyses require a 2 to 2.5 order of magnitude increase over current levels. Those same metrics have shown a 1 to 1.5x order of magnitude increase in the last year, so it doesn’t stretch the imagination to think that it might be possible. But the question is how? It would be impossible to get to those sizes on illicit usage only and you can’t get there just on speculation. Bitcoin usage would have to become mainstream. The only way to get there is through merchant preference because of the lower transaction costs. This could be appealing to industries with low net margins (e.g. grocery, Amazon.com), or with high transaction costs (e.g. cross border trade, micro transactions), and these may be the industries that pioneer Bitcoin acceptance. But merchants won’t switch to Bitcoin for lower transaction costs if the tradeoff is volatility of exchange rates. As long as their costs are in fiat currency, they will want to switch out of Bitcoin and into fiat immediately when they take payment since they won’t want to bear currency risk. That requires deep liquidity in the exchanges, and this is where the professional traders come in. They have already started to enter the market. If the current volatility in the Bitcoin exchange rate is reduced in the future, merchants may be willing to hold Bitcoins for longer periods of time, and even make payments in Bitcoins. The other way that Bitcoin may become mainstream is in countries where the currency or financial system is already more volatile than Bitcoin. Mainstream adoption will require bright line regulatory compliance by all elements of the Bitcoin ecosystem. That is why last month’s guidance on virtual currencies from FinCEN (part of the U.S. Treasury) caused Bitcoin prices to go up. As Bitcoin gets closer to the U.S. regulatory umbrella, it moves closer to legitimacy. These rules and the ones that will follow will increase the overhead costs of all players in the space, but that is a small price to pay for legitimacy. Not all big markets are opportunities for startups. Bitcoin has some attractive characteristics because it is so disruptive to the current system. The innovator’s dilemma may keep the big players in payments out of the market for a long time, as they may fear cannibalizing their current very attractive margins. But one day that competition will come. The key questions for any startup are: What is your competitive advantage and how do you defend against a large late entrant? For exchanges, liquidity is the barrier to entry. Although there have been examples where new entrants have cracked open marketplace businesses, it is hard. For wallet and merchant services, it is less clear what the barriers to entry will be. The risks associated with Bitcoin are worth mentioning as well. The six biggest hacking, theft and fraud incidents involving Bitcoin exchanges, wallets, or investment vehicles have resulted in a total 1.2 million Bitcoins being stolen, out of a total of 11 million Bitcoins in existence. This means that more than 10 percent of all Bitcoin has been stolen, and this does not include many smaller thefts and losses from individual wallets. Just this week, another wallet service was shut down after suffering an attack. Given this environment, Bitcoin startups cannot remain bootstrapped for long and will need to raise more substantial capital from VCs to mitigate these risks with better security and proactive regulatory functions. In all the scenarios that I’ve painted above, Bitcoin prices need to go up by 100x or more. If that were the case, then maybe just buying Bitcoin is a better investment than putting money into a Bitcoin startup. You get plenty of upside and no execution risk, but it won’t be anywhere near as much fun.